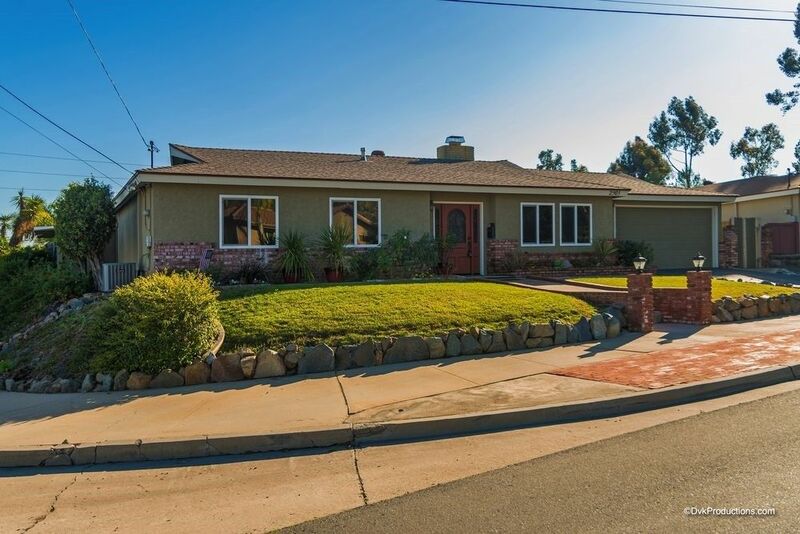 This adorable Fletcher Hills home on a corner lot is waiting just for it's new owner. The big backyard offers lots of possibilities. Gas fireplace in the living room and the family room opens to two covered patios, offering great outdoor living space. Bathrooms have been upgraded and the home has been very well-maintained. Murphy bed and built-in desk in bedroom 3 stay with the home. Laundry room area off the garage. Newer A/C. Refrigerator, washer and dryer convey.